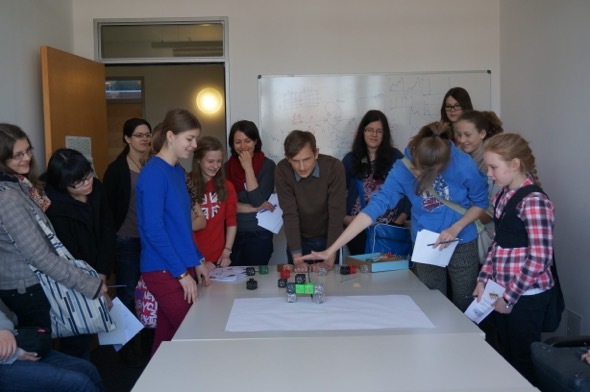 Last Thursday, March 27, 2014, we had a visit from a group of 20 girls who had lots of fun building robots from cubelets. The robot on the picture is a scribble robot that could be steered using hand gestures. Can you guess how it works?